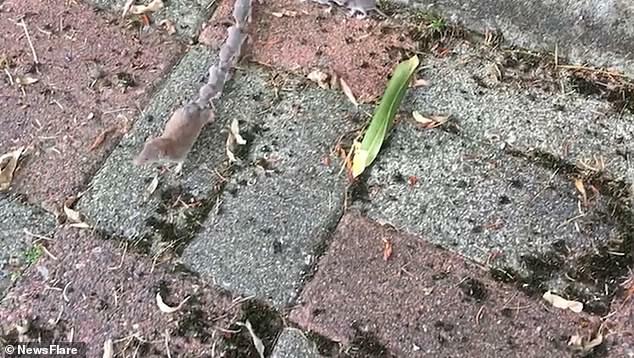 This is the intriguing moment a family of mice was seen searching for food while holding on to each other’s tails and marching in single file. 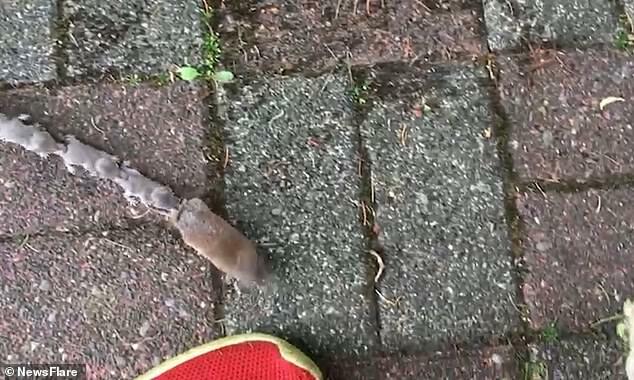 The bizarre scene, which almost appears as if the mice are attached, was captured on video in Kollam, India on Friday. It shows the line of seven mice, led by the mother, on a group hunt for food – but not willing to let go of one another. 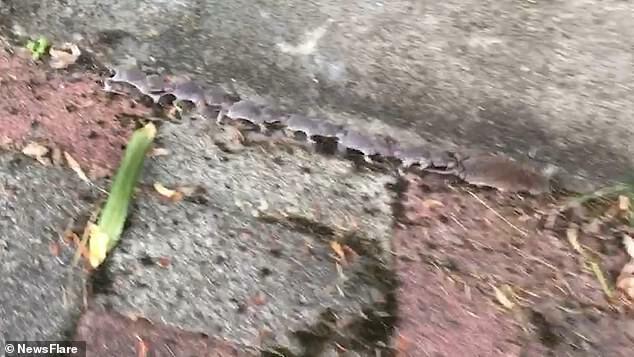 The family, which lives in a property in the city, shoots out of the hole at the beginning of the video only to get startled and re-enter. Soon after this, however, the mother plucks up a little more courage and the family exits the hole once more continuing their conga formation. Mother mouse leads the way while her babies line up behind her holding each other’s tails and march together. The owner of the house in which the mice are currently living is apparently fond of the family and lets them live on the premises. Jagadeesh, who is friends with the owner, had dropped in recently for a visit and he saw the mice family heading to the garden to find food. He couldn’t resist capturing the whole thing on video.